In Loving Memory of Frank Riggi Sr. | Riggi Paving, Inc. In Loving Memory of Frank S. Riggi Sr.
Frank S. Riggi Sr. was born on August 1st 1926 and died at the age of 77 on October 23rd 2003. 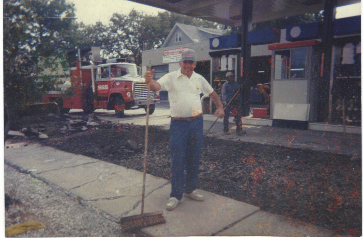 Frank Sr. had started Riggi Paving in the year 1958. The founder of the company, Frank S. Riggi Sr., was determined to provide the highest quality craftsmanship, using the best materials available, while maintaining fair and ethical business practices. His knoweldge, integrity and dedication to excellence set the stage for what would become a very successful company. For more than 60 years he continued to build his company and reputation on these fundamental practices.